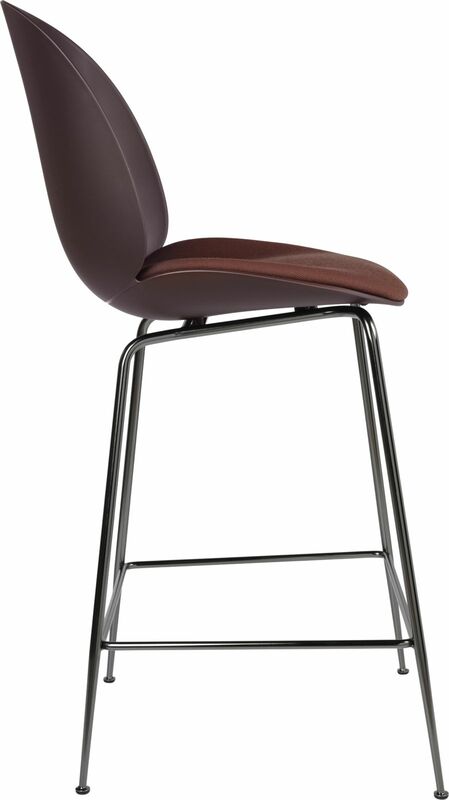 The Beetle Bar Chair completes the Beetle collection that already includes a chair and a lounge chair. 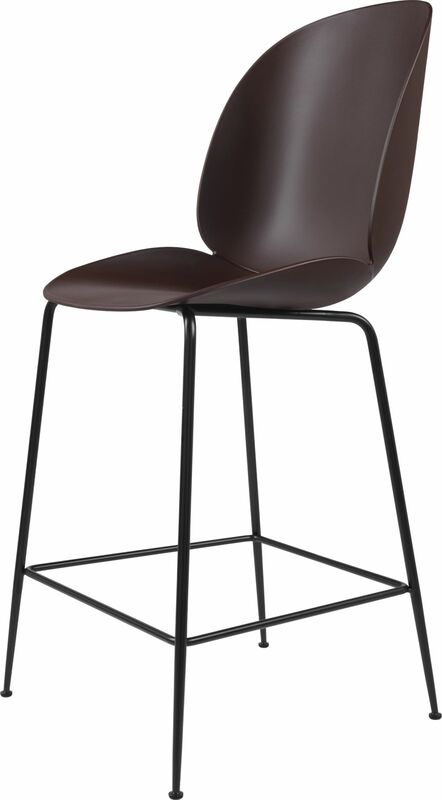 The Beetle stool is available in two seat heights: 65cm and 75cm. The seat and back are made of polypropylene plastic. 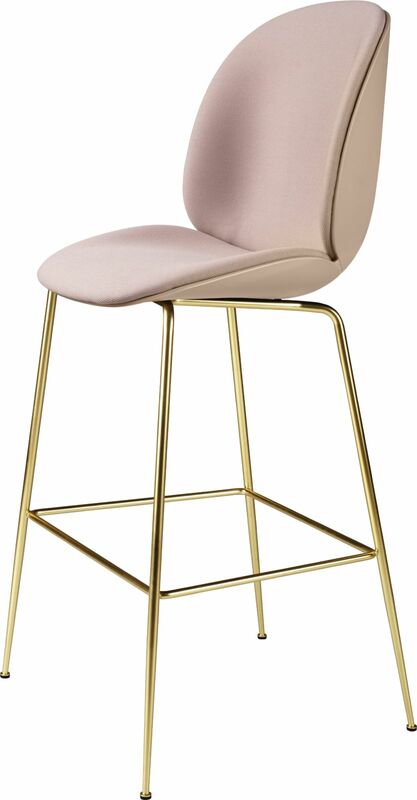 The base is available in black powder coated steel, black chrome or in brass. GamFratesi is a partnership between Stine Gam (born 1975), danish, and Enrico Fratesi (born 1978), italian. Several of the studio's designs play with the contours established by designers such as Hans J. Wegner and Arne Jacobsen, using new proportions, materials and constructions to challenge the look of contemporary furniture archetypes. The Beetle Stool was born of this research on the legacy of the great masters of Scandinavian design.